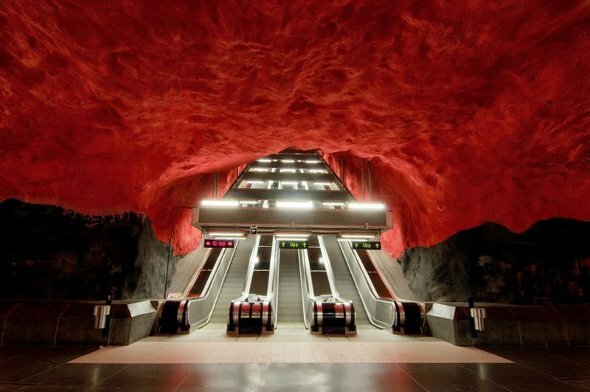 Considered one of the most beautiful metro’s in Europe, the Stockholm subway system is filled with eye popping art and bright colors… a perfect cure for the proverbial Stockholm Syndrome. 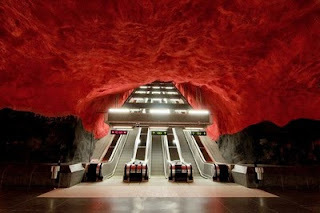 Each stop presents riders with a different visual feast as if they have been transported to a new magical underworld. 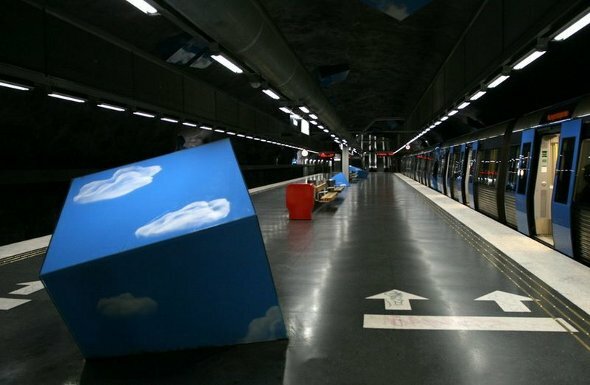 The metro has 100 stations of which 47 are underground. Construction of the large system began in 1941 with the last station opening in 1994. Some of the cavernous interiors where left with crude bedrock exposed, others have been tiled or even embedded with Romanesque statues. Check out all photos of this gorgeous station.